Why Should You Grow Multiple Types of Forage Grasses for Grazing Animals? By Kathy Voth / January 8, 2018 / Comments Off on Why Should You Grow Multiple Types of Forage Grasses for Grazing Animals? Thanks to Jesse Morrison of Mississippi State and the Soil Science Society of America for this article! Although it might seem like grazing animals will eat any grass in the field, they are actually picky eaters. They prefer a “buffet” of grass choices. And while it’s good for the grazing animals, growing a variety of forage plants in the field also benefits the plants, the soil, and the environment. Most of their grazing time, grazing animals are making decisions about what to eat with every bite. Luckily for the animals, they don’t normally have only one option for their meal in a pasture setting. Growing multiple plant species in the same space at the same time, polyculture, is the norm in pasture grazing scenarios. 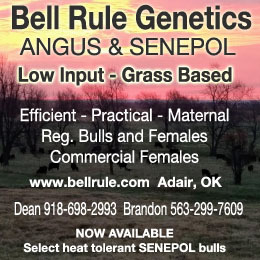 Alfalfa provides the soil with nitrogen, and the animals with protein. Photo by Jesse Morrison. Usually, perennial grasses serve as the primary component in pastures for grazing. Most polyculture systems add in annual species because of their flexibility and low cost of establishment compared to their perennial counterparts. Using legumes (clovers, alfalfa, and peas) can increase protein and nutrients in the available forage. Including legumes also supplies the plants in the pasture with naturally produced nitrogen fertilizer. Another tactic for forage systems is to add in brassica plants. Root crops like turnips, kale and radishes grow well into the colder months. 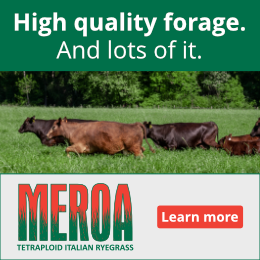 This extends the grazing season with high quality, nutritious forages. Turnips and radishes also break up the soil with their strong and hardy roots. This helps reduce soil compaction, and helps the overall soil environment. Creating combinations of different species and life cycles is good for the plants themselves and the animals they feed. It’s also good for the ecosystem that they live in. Research has shown that as we increase the diversity of plant species (called biodiversity) in a pasture, we generally see the diversity of other species increase, too. This increase in biodiversity includes everything from soil organisms and insects to songbirds and small mammals like rabbits and chipmunks. Along with increasing biodiversity, another ecosystem service that polycultures provide is nutrient management. Just like different children eat different amounts of food – even in the same household – plants use different amounts of nutrients from the soil. The possible combination of nutrient uptake qualities in a polyculture allow for increased nutrient management throughout the entire year. This means fewer soil nutrients being transferred from the pasture to surrounding creeks, ponds, lakes and even the groundwater. One of the most valuable characteristics of polyculture systems is also difficult to measure. 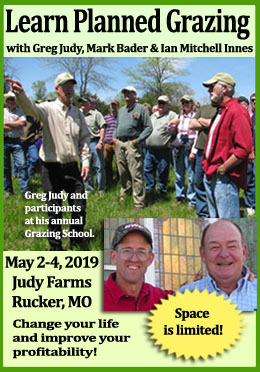 Polyculture systems offer producers a kind of “insurance policy.” By combining different species – and even different varieties – in polyculture, a producer’s pasture is better protected from a variety of inclement conditions. One specie might do well in flood conditions; another does well in drought. Some varieties are bred for insect, fungal and/or viral infestations. Having a variety of plants in your forage fields can give growers some peace of mind. Polycultures can help producers feed their animals more diverse and nutritious diets. The variety of plants in polyculture lowers the risk of any one type failing to feed producers’ animals. The biodiversity of the entire grazing system is increased with polyculture, which is good for the environment. What more could you ask for?